Address of the Human Rights Agenda regarding the refusal of the de facto Crimean authorities to release Freedom radio journalist for medical treatment. The de facto Crimean authorities refused to allow Ukrainian journalist Mykola Semena to leave the occupied Crimea to undergo treatment in neurosurgery and cardiology clinics. Last year, Mykola Semena received a suspended sentence of two and a half years with a probationary term of three years for “public incitement to violation of the territorial integrity of Russia”. The journalist’s professional activities served as the basis for the criminal prosecution. In his publications, he denied the legality of Crimea’s occupation by Russia, referring to the principles of international law. Mykola Semena is currently registered at the so-called “criminal inspection” body, his work, internet activities and communication are constantly monitored, and he is prohibited from leaving country. The court banned him from engaging in any public activity for two years, which makes it impossible for him to pursue his professional occupation. Mykola Semena is 68 years old, and constant political persecution has seriously damaged his health and affected his psychological state. The de facto Crimean authorities were given all necessary medical documents that confirm Mykola Semena’s need for inpatient neurosurgery and cardiology in mainland Ukraine. Under these circumstances, the refusal to grant permission for such treatment looks like a cynical abuse of the journalist. 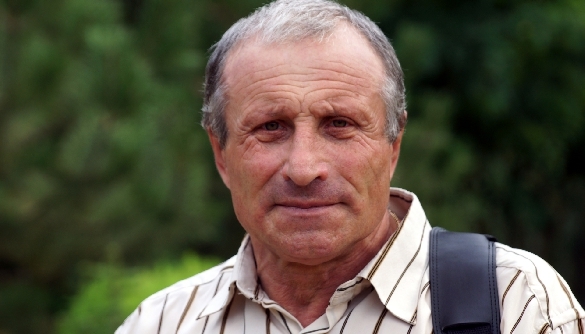 The European Parliament’s Resolution On the Cases of Crimean Tatar Leaders Akhtem Chiygoz, Ilmi Umerov and the journalist Mykola Semena adopted a year ago demanded from Russia to clear Mykola Semena of all charges, to stop his persecution and not to hinder his travels. These demands have been ignored by the de facto Crimean authorities, which continue to persecute dissenters. We appeal to the CoE Commissioner for Human Rights, the delegates of the October session of the PACE, and the member states of the Council of Europe to raise before the Russian Federation the issue of permission for Mykola Semena to leave the occupied Crimea for treatment in neurosurgery and cardiology clinics in mainland Ukraine. We ask the OSCE Representative on Freedom of the Media to take all possible measures to help resolve the matter as soon as possible. We call on international organizations protecting the rights of the press to respond to this disgraceful situation.